Sen. Bill Frist and Jonathan Bush engage in a lively discussion ranging from technology to entrepreneurship. "Entrepreneurship is the act of filling a need we didn't know we had." 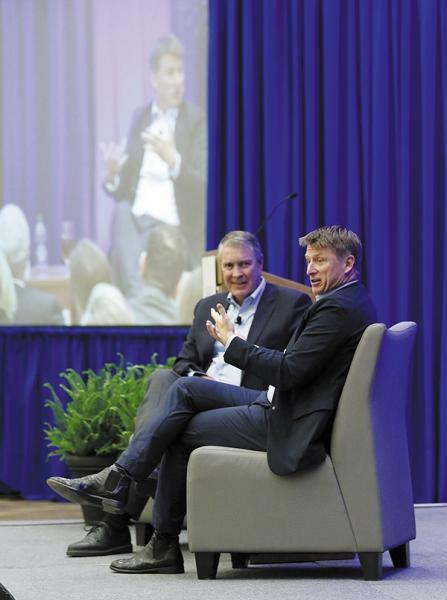 That line from athenahealth CEO Jonathan Bush kicked off a lively discussion hosted by the Nashville Health Care Council on April 6. Moderated by Sen. Bill Frist, MD, the conversation touched on a wide range of topics, from innovation and technology to patient privacy and policy. More than 400 Council members heard Bush's candid perspective on entrepreneurship, the role of government in health IT, data's impact on the future of care and the recent influx of disruptors entering the industry. Since its founding in 1997, athenahealth has grown from a California-based birthing practice to one of the most universally connected healthcare networks in the country. Today, athenahealth's 5,200-plus employees connect 111,000 providers and 106 million patients through clinical and financial services including electronic health records, population health tools, revenue cycle management and care coordination. The impressive growth has occurred under the guidance of Bush, a tech trailblazer who co-founded the company. Bush challenged the audience to lean in to entrepreneurship and innovation within corporate structures in order to solve today's complex healthcare issues. He also spoke about the importance of creating jobs that don't yet exist. "Otherwise, people with more assets than you will do it ... but better," he quipped, noting the competitive advantage and freedom that accompany creating your own niche. With his strong public-sector background, Bush stated his position on the need for government to support rather than create innovation to address today's healthcare problems. "Government has a role in encouraging innovation but not doing the innovation. I think the job of government is to protect the garden, and then let the garden grow. Currently, the government is both the referee and a player on the field," he said. He added the confluence of new artificial intelligence plus nontraditional healthcare companies like Apple, Walmart and Amazon entering the market gives him hope that healthcare is headed in the right direction, regardless of what happens in Washington. He asked the leaders in the room to be open to disruption and to embrace entrepreneurship as Nashville continues to lead the nation in collaborating to improve patient care. Bush also compared potential utilization of government data assets to current accessibility of weather and air traffic control data from any mobile device. "Let data be opened up to be used," he urged, later noting that, "If data is the new oil, healthcare in the U.S. is the new Saudi Arabia. We're in a good position." Frist questioned Bush about physician burnout and the general loss of autonomy felt by many providers, particularly seasoned physicians who have witnessed a tremendous shift - and subsequent loss of decision-making abilities - in the marketplace. Bush likened the shift to John Henry and the steam shovel, calling it "the oldest phenomenon in the world." He continued, "It's hard to sell rock pit skills, and it's true of medicine. New frontiers are being created all the time, and we need to get that dinosaur part of the brain out." While a doctor might not be required to make as many gut calls on medical conditions, Bush suggested the physician focus on what he can control, such as using algorithms and technology to benefit patients. "Doctors can see how much all drugs cost at all locations, and that's where we are a leader in healthcare," Bush said. "That can have enormous consequences across millions of encounters and patient lives, so physicians can forget about how depressed they are about losing their hammer skills and get excited about the next big thing. It's part of the American state of mind today, and it's relevant in the practice of medicine too." 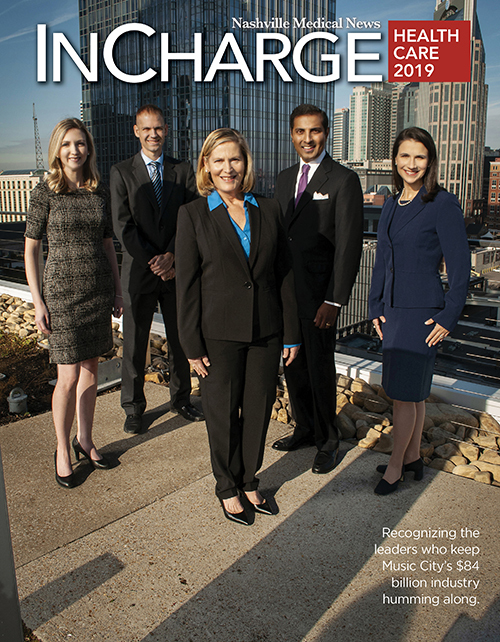 When asked about Nashville's influence on the healthcare industry, the Massachusetts-based CEO was quick to note the city's unparalleled position as a healthcare leader. "Nashville is extraordinary, and few understand how much activity is here," he said. 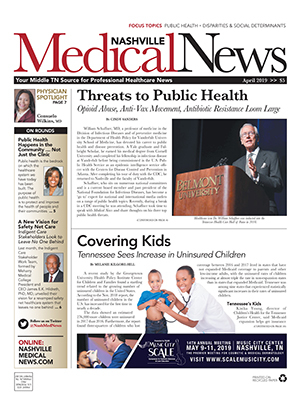 "Nashville's social and cultural network effect in healthcare is unmatched. There is no other community like this anywhere else. If that social network can converge with a tech network effect - and I think it's going to happen - it's going to change the world."